You might not know it, but the Messages stores every single message that you send and receive indefinitely. After a while that can mean the Messages app takes up more and more storage, until eventually your device has little storage space left for installing new apps or download music and videos. 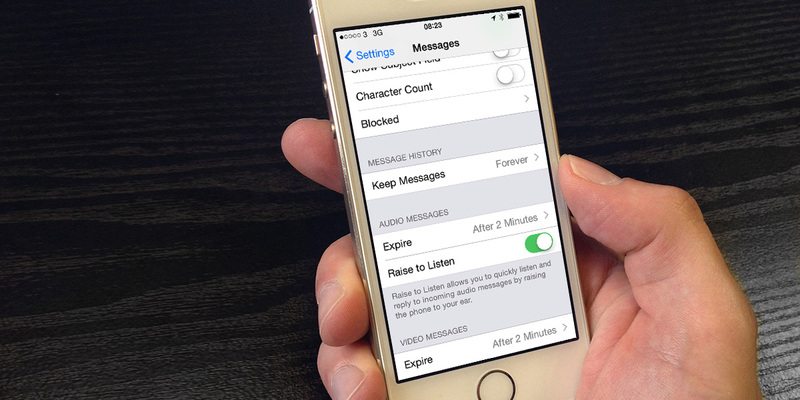 With iOS 8, you can now tell Messages to automatically remove chats, photos and more after either 30 days or 1 year. To activate this feature, go to Settings > Messages > Keep Messages. It’s as simple as that.